Celia D. Walker, age 100, of Green Lake, WI, passed away on Friday, February 1, 2019, at Ripon Medical Center. Celia was born April 30, 1918, in Friesland, WI, the daughter of George and Sara (Kok) Dykstra. She graduated from Randolph High School in 1936. On March 21, 1939, Celia married Roy Walker in Randolph, WI. 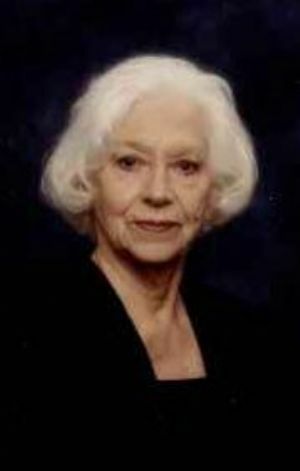 She was a member of Hillside Assembly of God in Ripon. Celia enjoyed poetry and wrote numerous poems for Grief Share after her husband passed away in 2008. Survivors include three daughters, Virginia (Tom) Jensen of Neenah, WI, Patricia Hansen of Green Lake, WI and Nancy (Gordon) Billings of Black River Falls, WI; grandchildren, great-grandchildren and several nieces and nephews. Celia was preceded in death by her parents, husband, Roy; son-in-law, Ken Hansen; five sisters and two brothers. Visitation for Celia will be held on Friday, February 8, 2019, from 10 – 11:00 am at Butzin-Marchant Funeral Home, 515 Mayparty Dr., Ripon, WI 54971. Funeral Service for Celia will be held on Friday, February 8, 2019, at 11:00 am at Butzin-Marchant Funeral Home with Reverend Erik Boulier and Reverend Joshua Sherman officiating. Interment will take place at Green Lake Center Cemetery in the Town of Green Lake. In lieu of flowers, memorials may be given to Hillside Assembly of God, 656 W. Oshkosh St., Ripon, WI 54971. The family would like to give a special thank you to Agnesian Hospice Hope of Green Lake and Kindred Hearts of Green Lake for the wonderful care and support given to Celia.